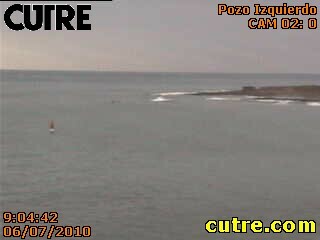 Well its finally here, but things aren't quite looking right down at Pozo at the moment. The usual howling trade winds seem to have gone on strike. Check out the glassy surf, tempting out the paddle boards! Hopefully the forecast is right and the conditions will improve thursday and friday. Need everyones fingers crossed for this one. In the meantime check out www.cutre.com and follow the webcam link. I think you need to register to see the live version, but its free and gives you a sneak peak of what is happening on the water.